This list is compiled from a variety of sources. Any additions or corrections would be most appreciated. If you wish to be listed as a family researcher for a particular family please contact me using the comments option at the bottom of the page. A large portion of the Great Reinforcement of 1840 became residents of what is now known as Salem, and the vicinity thereof sometime during the years 1840-41. At the time the entire Willamette settlement consisted of not more than about forty men, chiefly with Indian wives and half-breed children, from what is now Butteville, on the north, to the settlement of present day Salem, on the south; all except four or five settlers at or near the present town of Wheatland, and a few in Chehalem valley, were located on the east side of the river, within a small portion of the present county of Marion. By late summer, the population in the Valley includes: "American settlers, twenty-five of them with Indian wives, 36; American women, 33; children 32; lay members, Protestant Missions, 13; Methodist Ministers, 13; Congregational, 6; American Physicians, 3; English Physicians, 1; Jesuit Priests, including DeSmet, 3; Canadian French, 60. Total Americans 137; total Canadians, including Priests, 63. Total population, not including Hudson's Bay Company operatives within what now is a portion of Montana, and all of Idaho, Washington and Oregon, 200." ABERNETHY, George (1807-1877): m. 1830 Ann Pope, came to Oregon on the ship Lausanne via Cape Horn with the Jason Lee party of Methodist missionaries; elected governor of the provisional government in 1845 and 1847; merchant at Oregon City; laid out town of Butteville. *2: ADAMS, Thomas: a Chinook who went to the east with Lee returned to Oregon on the Lausanne. BROOKS, the other Chinook who went with Lee had died in the States. *2: ALTGEIER, Niclaus or Nicholas: A valley resident by late summer 1840. He left for California with the US Exploring Expedition in 1841. BABCOCK, Ira L. Dr. (c1808-1888): and wife and one child; came to Oregon on the ship Lausanne via Cape Horn with the Jason Lee party; was a physician, judge, and executive in Oregon; following Ewing Young's death intestate, he was made Supreme Judge with probate powers, a position he held for two years; in 1843 he spent a year with his family in the Sandwich Islands; upon his return he was again elected Supreme Judge, holding that office till he left Oregon in November 1844. BLACK, Henry (1819- ): m1. 1841 , Lizette; m2. 1848 , Mary A.E. ; former trapper; he drove a wagon for the ailing A.T. Smith from Green River to Ft. Hall; left the Willamette Valley with the US Exploring Expedition in September of 1841 and returned the next year with a herd of cattle. BREWER, Henry B.: came to Oregon on the ship Lausanne with his wife via Cape Horn with the Jason Lee party. 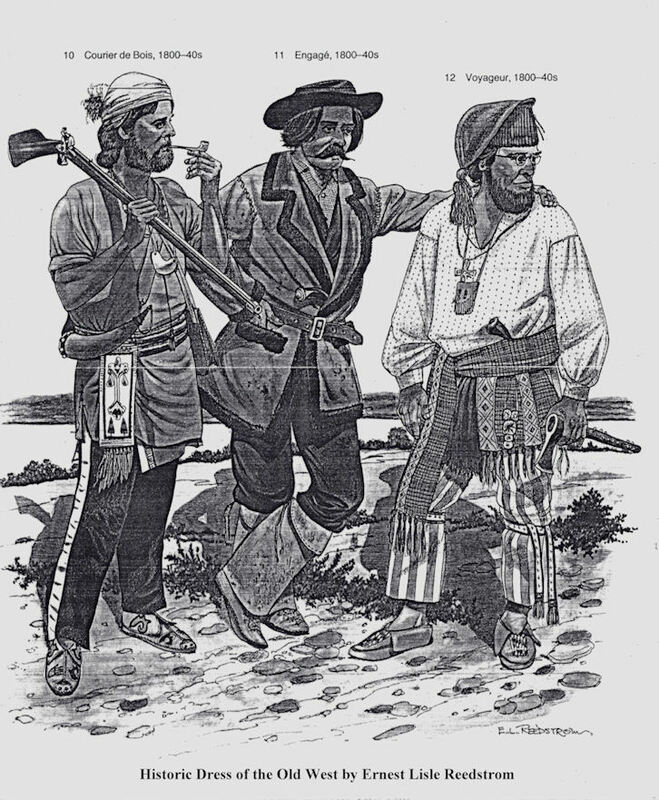 CROCHIERE, Joseph ( - 1849): came west with mother and stepfather; died in California gold fields 12 Sep 1849. *2: DAVIS, George: was described as a lone drifter in seach ofland; joined the missionary party at Ft. Laramie and went with them to Oregon. DOUGHTY, William (1812-1872): m'd 1842 SHOSHONE, Mary; free trapper who accompanied Kilbourn (of the Peoria Party) to Oregon in the summer of 1840; by autumn, he and his Indian wife had settled in the ex-trapper community near Willamette Falls. MEEK, Helen Mar (c1838-1847): d/o Joseph L. Meek; was left with the Whitmans in Oct 1840 by her father when her mother abandoned them; was still living there when the Whitman Massacre took place; died from illness shortly after Hannah Louise Sager; her father never forgave the Cayuse for her death; father participated in the hanging of the participants after they turned themselves in. MEEK, Joseph L. (1810-1877): m1. [ ]; m2. 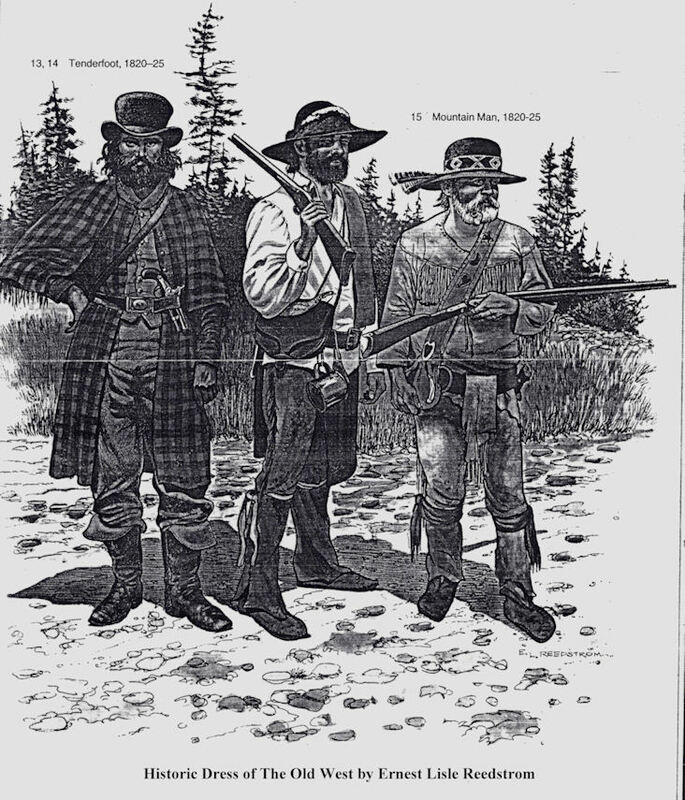 1841 NEZ PERCE, Virginia; 1829 joined Sublette; 1830 was trapping with Jim Bridger and Jedediah Smith; Aug 1840 started from Fort Hall with Robert Newell, Caleb Wilkins and Francis Ermatinger enroute to Whitman's Mission at Walla Walla; settled on Tualatin Plains in 1840; described as tall, imposing, bronzed, commanding in voice. NEWELL, Robert (1807-1869): m1. NEZ PERCE, Kitty; m2. 1846 NEWMAN, Rebecca; m3. 1869 WARD, Mrs.; referred to often as "Doc" Newell; became a trapper at the age of 21 under Sublette in company with Jose Meek, George Ebberts and others; 1840 he served as pilot for a group of missionaries from Green river to Fort Hall where he was paid with a harness and two wagon ( he sold one wagon and one he hired Joe Meek to drive to Walla Walla); accompanied by Caleb Wilkins the small caravan traveled to the Columbia where Newell left his wagon while he continued on to the Willamette Valley (returning the next year he brought the wagon down the Columbia by boat); Newell settled first in the Tualatin Plains near present day Hillsboro, later moving to Oregon City; 1844 he acquired land at Champoeg where he resided for nearly 20 years; Newell played a prominent roll in the forming of the provisional government; he was well read and helped organize the earliest literacy and debating society; was a director of the Oregon Printing Association which published the first newspaper, the Spectator; 1855; operated a river boat operation between Oregon City and Willamette falls with two keel boats he had obtained; served as Captain of a company of 35 men during the Yakima War; 1866 he had sold his land at Champoeg and moved to ID to live near his old friends, the Nez Perces, settling near present day Lewiston; died of heart disease a short time after moving. RICHMOND, John H. Dr.: came to Oregon on the ship Lausanne via Cape Horn with the Jason Lee party; returned to the States with his family in 1842 on the brig Chenamus with Captain Couch. SMITH, Alvin Thompson (1802- ): m'd 1840 RAYMOND, Abigail; independent missionary who traveled with missionary party; joined Spalding at his Nez Perce station on Clearwater River; 1851 probate judge of Washington Co, OR; 1853 postmaster of Tualatin, OR. *1: MSS#8, 18pp diary typescript in collection at OHS. WALKER, Louisa (1841- ): d/o Joel P. and Mary Young Walker; was born Jan 1841 near Salem. WALLER, Rev. Alvan F. (1808-1872): m. 1833 WHITE, Elepha; came to Oregon on the ship Lausanne via Cape Horn with the Jason Lee party; built the first Protestant church west of the Rocky Mountains at Oregon City; built the first church in Salem; one of the founders of the newspaper the "Pacific Christian Advocate". WILKINS, Caleb: guided the missionary/settler party from Green River to Ft. Hall. He bought Joel Walker's wagon when the party split between Ft. Hall and Boise; arrived with his wife, a Nez Perce of the Lapwai region, at Waiilatpu in August and settled in the Willamette Valley in September. WINN, Elizabeth (1811-1869): m'd 1833 PARRISH, Rev. Josiah L.; came to Oregon on the ship Lausanne via Cape Horn with the Jason Lee party; founded an orphan's home in what is now one of the buildings located on the grounds of the Oregon State Hospital in Salem and donated 4.77 acres from her half of their original donation land claim to make up the original part of Lee Mission Cemetery. YOUNG, Mary: m. 1823 WALKER, Joel P.; came to Oregon with their four children and her unmarried sister, Martha Young; by the end of September, the Walkers had sown a crop with the aid of Ewing Young and Dr. McLoughlin; Ewing Young hired Joel and his son for occasional work and Martha Young (Mary Young Walker's sister) as a seamstress and laundress.